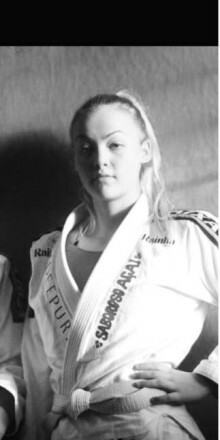 Jane Kotchkina is a Jiu-Jitsu athlete out of Carlson Gracie London who is on her way to the IBJJF European Championships after being named the top ranked female blue belt by the UK Brazilian Jiu-Jitsu Association (UKBJJA). Jane, who racked up a massive 15 gold, four silver and five bronze medals in 2015, was awarded a travel package to the competition by the UKBJJA. It allowed her to book the flights, entry and accommodation for the anticipated event taking place next week. Jane increased her training by adding double sessions to her usual weekly time spent on the mats. To keep up her cardio, additional time has been spent running with her dog and horse riding. She said: “I train as much as my body can take and keep my diet level, especially pre-competition”. Jane, originally from Russia, has been training at Carlson Gracie London under Wilson Junior Cretaro for three years. Having previously trained in Russian Systema, she turned to Jiu-Jitsu following a serious back injury in a Bikram yoga class. After taking four months out of any type of exercise, it took her another five months of rehabilitation before she could do any form of training. She explained: “A coach at a Systema camp seemed rather disappointed that I lived 10 minutes from a Carlson Gracie club and had never tried grappling. 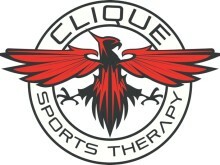 So after I recovered from my injury, I turned up at CG London and never looked back”. Fighting at 74kg, the West London resident fights in the medium heavyweight category and has had great success in the absolute divisions. In September Jane fought against a number of women at the BJJ247 Liverpool Open to win the combined white and blue belt absolute. The prize was free entry to all BJJ247 competitions in 2016. 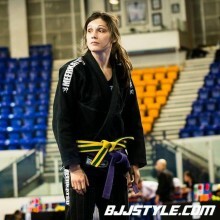 The 34-year-old previously competed in the IBJJF European Championships last year at white belt. Having not medaled and being beaten in the first round by an experienced judo competitor, she took something valuable from the experience. Jane commented: “I have learnt to research my opponents before a big competition like this so that I can try to know what to expect. For example, I know that if they do judo, they will have good stand up. I try my best to anticipate what their game will be like”. 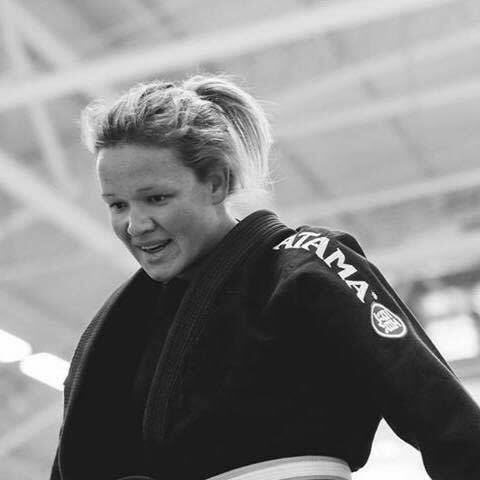 Jane also gained this outlook after competing at the IBJJF World Championship last year, where she was met with the same outcome against an experienced wrestler. The highlight of 2015 for Jane was winning double gold at The English Open, when teammate and CG coach Sarah Merriner was in her corner. Jane, who was awarded her blue belt in June, said: “At The English Open I held up to the win in the final, it is a good memory that I have of a really hard fight”. Commenting on Sarah cornering her, she added: “After that fight, I begged Sarah to make sure she’d come to the Europeans. She’s the person I want in my corner”. Jane competes regularly throughout the year to keep the fear at bay, saying: “The more time you leave it before competing, the scarier it becomes. Competing at local events also keeps me more comfortable but still allows me to see how far I’ve come with my training”. Jane has also been involved with endorsing women's BJJ, attending a recent women's only training session filmed by teammate Hannah Jell. 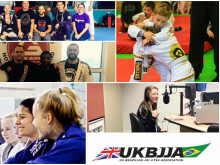 The UKBJJA will soon release the finished product that aims to promote women's BJJ across the country. When asked of her what keeps her on the mats, Jane said: “What I love about Jiu-Jitsu is that it helps to clear my head. 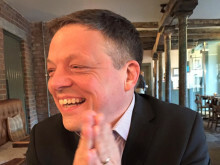 I have a demanding job so it's a way to get rid of anything in my head." She continued: "I have a roll and feel better. I don't train to just achieve, I train to enjoy”.